Flying the Citation M2, the newest version of the Cessna Citation Jet. The M2 is an absolute pleasure to fly. It’s an upgrade of the original CJ that has six passenger seats and is powered by the dependable Williams FJ-144 engines. It cruises at 400 knots and has the original service ceiling of 41,000 ft. The instrument panel has been completely redone and is now dominated by the three panel Garmin 3000. The new Garmin avionics are incredibly capable but, require a steep learning curve. FlightSafety is now requiring any pilot upgrading to the M2, who doesn’t have previous Garmin 3000 experience, to take a one time two day course on the avionics suite. Half the switches are gone and the systems they controlled are now selected and managed through the Garmin touch controllers, GTU’s. This isn’t always a plus. Now instead of just flipping a fan switch, you have to flip through a couple of pages to get to the selection option. The avionics master switch has been removed and when you turn on the battery the avionics come on. This is an odd adjustment if you transitioned from aircraft that would drain the battery in ten minutes if everything is powered up. The avionics now have their own full size battery. Systems are powered by the original battery. With the loss of both generators, and both batteries fully charged, you now have one hour till the total loss of avionics power. A properly managed electrical failure in this airplane is almost a non event. You still have one full panel in front of the pilot providing all the required information. Some of the other changes are the removal of one of the engine fire bottles, no inverters due to the fact that all lights are now LED’s and all equipment requiring ac power have integral inverters. The aircraft now has little winglets I like to call them stubies but, they are more for marketing appeal than anything else. Cessna had originally planed to provide the M2 with an option for an electric windshield but, recently announced that they had discontinued any plans to do so. In this video we go out for some training before picking up our clearance to Punta Gorda Florida. Some of the basic weights are maximum ramp weight 10,800 lbs., Maximum takeoff weight 10,700 lbs, maximum landing weight 9,900 lbs. Maximum fuel is 3,296 lbs and fuel burn is 800 the first hour then 700 lbs and 600 lbs. 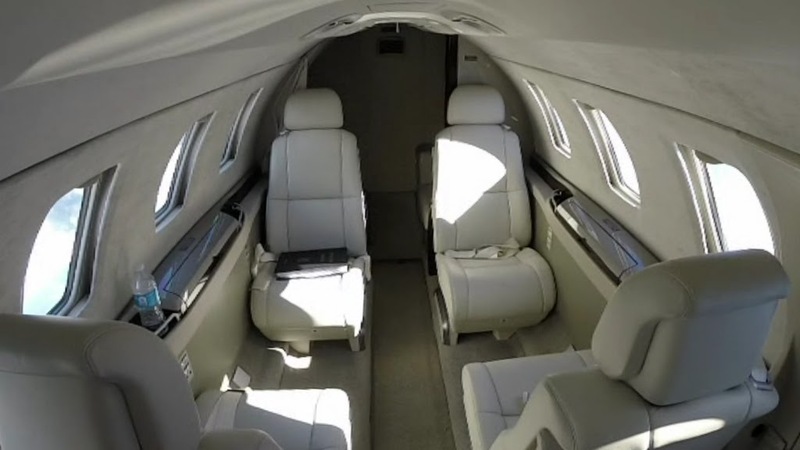 This entry was posted in Cessna Citation and tagged aircraft, airplane, aviation, cessna citation m2, cessna m2, citation jet, citation pilot, flight, flying, flying the citation jet on October 7, 2014 by James Sorsby. Flying the Cessna Citation into St. Louis. This is an early morning arrival and landing of a Citation Encore at Spirit of St Louis Airport (KSUS). The vast majority of St. Louis bound general aviation aircraft land at the Spirit Airport. We’re flying a visual approach and landing on runway 26L with a left base turn to final. The video starts with an interior view of the main entry door and the passenger cabin area. In the cockpit I point out the visual reference we use to set the seat position before the flight. By lining up the orange and white reference balls the pilots set the seat position so that their eyes are in approximately the same position every flight. This is done in order to ensure that the sight picture through the forward windshield is always the same for visually adjusting the aircraft attitude for landing. Our landing was uneventful. Unfortunately, a Cessna 210 that was landing after us, made a gear up landing. After picking up our passengers we pass the disabled aircraft as we taxi to the smaller runway. This entry was posted in Cessna Citation and tagged aircraft, aviation, cabin, ce-560, cessna, cessna 560, cessna citation encore landing, citation cockpit, citation v, cockpit view landing, encore, jet airplane, landing on January 30, 2014 by James Sorsby. This entry was posted in Cessna Citation and tagged aircraft, aviation, cessna citation encore, cessna citation v, cessna encore, citation 560, citation night landing, cockpi view landing, how to fly, jet airplane, night storms, primus 1000 avionics on January 29, 2014 by James Sorsby. A Short single pilot IFR flight in the Cessna Citation Mustang (CE-510). I takeoff in light rain from the St. Louis Downtown Cahokia airport (KCPS) and fly an ILS approach and landing into the Spirit of St. Louis Airport (KSUS). It’s a very short eight minute flight between the two airports. When flying Single pilot in instrument conditions, especially on short IFR flights in congested air space, the pilot work load can be extremely high. A thorough familiarity with the autopilot and avionics is a must. In situations like this the autopilot acts as your dumb copilot, faithfully flying altitude and heading while you work the radios and set up the approach. It’s important to have as much of the cockpit and avionics set up before takeoff as possible. This morning I was being vectored for the ILS 26L approach two minutes after takeoff. With two to three minutes to localizer intercept there is very little time to get set up and familiarize yourself with the approach. If you don’t have time to get setup ask for a delaying vector before accepting the approach clearance. Passing to the south of Lambert (KSTL), the approach controller gives us a vector to the right to intercept the localizer. After being handed off to spirit tower I’m cleared to land. Closer to the airport my landing clearance is revoked and the controller directs us to continue. She does this so she can launch another aircraft before we land. After the departing aircraft is rolling down the runway we are again cleared to land. 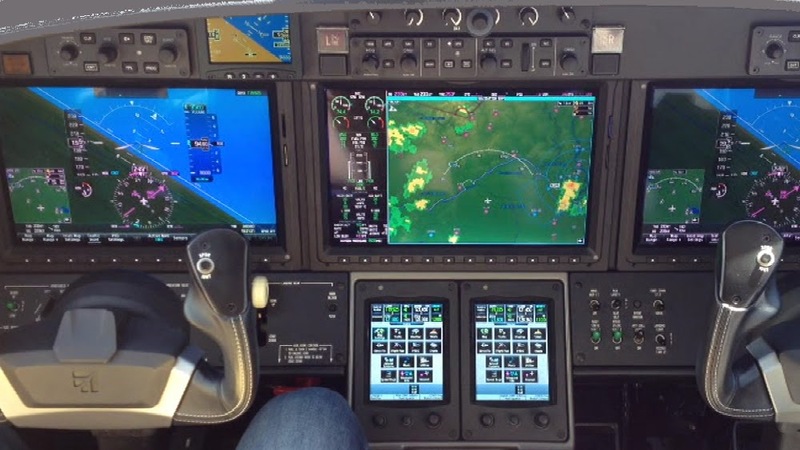 This video includes Air traffic control radio communications and more of the Garmin G1000 instrument panel. This entry was posted in Cessna Citation and tagged aircraft, aviation, cessna mustang, citation cessna, citation mustang landing, flying the citation mustang, garmin g1000, how to fly, jet planes, single pilot cessna citation mustang, very light jet on January 29, 2014 by James Sorsby. 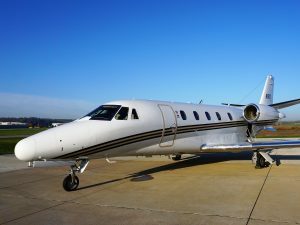 A year of charter and corporate flying in the Cessna Citation Encore, Citation II, Citation Mustang. Citation Excel and the beechcraft King Air 350. This is a representative video of a year of flying with cockpit views of takeoffs and landings. This entry was posted in Uncategorized and tagged aircraft, airplane, beechcraft, Cessna citation excel, cessna citation ii, cessna citation mustang, citation 550, citation v, cockpit view, flight, flying, jet, jets, king air 350 on August 11, 2013 by James Sorsby.